You are at:Home»Electrical Safety»Employees Don’t Do What You Expect, They Do What You Inspect! All electrical incidents are preventable! Keep employees safe with an up-to-date Electrical Safety Program and complimentary training. This is a great quote when it comes down to Occupational Health & Safety. 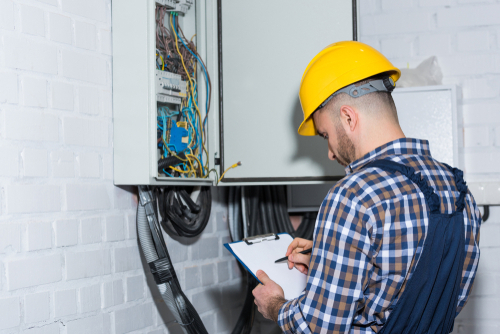 The need for ensuring that an audit is a key component of your overall Occupational Health & Safety Management System and your company’s Electrical Safety Program is essential. The challenge is that many of the Electrical Safety Program’s that are provided to me for review from other companies lack an Audit section in the Table of Contents. In the CSA Z462 Workplace electrical safety Standard, 2018 Edition, additional focus was placed on the requirement for an audit to be mandatory in an Electrical Safety Program. Furthermore, the Electrical Safety Program is required to be audited and have established Lockout program and procedures. CSA Z462-2018, Clause 4.1.6.11 Auditing includes three requirements: Electrical Safety Program Audit, Field Work Audit and Lockout Program and Procedure Audit. This is actually a “system” audit. Are the requirements – principles, policies, practices, procedures – been implemented? Usually, the time period for this audit would be annually and not every three years as documented in CSA Z462. The three-year term is too long. This “system” audit could be executed with a defined question set and an assigned audit team. This is really a Supervisory Level Audit. This level of an audit should occur on a daily and weekly basis, completed by the Supervisor of Qualified Electrical Workers. This check can be completed with applicable documentation that the QEW is responsible for filling out before proceeding with energized electrical work. The onus is on the QEW that the check is actually completed and completed correctly. Another aspect of this would be managing any requests for Energized Electrical Work Permits (EEWPs) and ensuring justification is valid. Additionally, this should include spot checking that Electrical Specific PPE, Tools & Equipment are actually been pre-use checked and worn when required. This is why you need to ensure your company’s Electrical Safety Program includes a mandatory requirement for both Internal Electrical Safety Audits and third-party External Electrical Safety Audits. My experience is that companies believe they have a compliant Electrical Safety Program developed and implemented. However, several components are missing, and an audit is typically one requirement that is never considered and has never been implemented specifically for electrical safety. They say “a picture is worth a thousand words” this is definitely true when it comes to completing electrical safety audits. Please submit any questions or comments you may have to Terry Becker, P.Eng. via email, tbecker@danatec.com. Terry is the first past Vice-Chair of the CSA Z462 Workplace electrical safety Standard Technical Committee and currently a Voting Member and Working Group 8 Leader, Annexes. Terry is also a Voting Member on the IEEE 1584 Technical Committee and a Voting Member of the CSA Z463 Maintenance of electrical systems Standard (2018). Terry is a Professional Engineer in the Provinces of BC, AB, SK , MN and ON. Terry is Senior Vice President, Electrical Safety at Danatec by Yardstick Training www.danatec.comproviding electrical safety consulting (e.g. arc flash incident energy analysis studies, electrical safety audits, Electrical Safety Program development), licensed Electrical Safety Program development and implementation, and arc flash & shock training solutions. Next Article Are You Ready for Cannabis in the Workplace?